When selling your home, it is the done thing to opt for a traditional high street estate agent. However, with the average property value currently sitting at £232,554 in the UK – and more than double that in London (£482,241) – paying commission to a high street estate agent when you sell will mean paying out thousands of pounds worth of fees. Therefore, it may be time to consider alternative ways to sell your home, to ensure you are getting most of your property’s value. A good way to do this is selling your house without an estate agent. 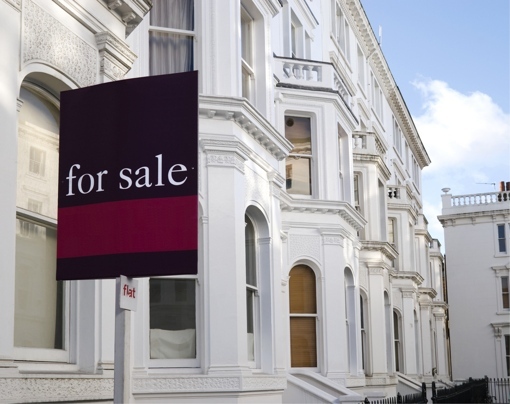 Is selling your house without an estate agent a good idea? Many homeowners are favouring the idea of selling a house privately without an estate agent, or other unconventional routes, as the average estate agent fee is 1.42% of the final selling price (including VAT), according to a July 2018 survey by TheAdvisory. 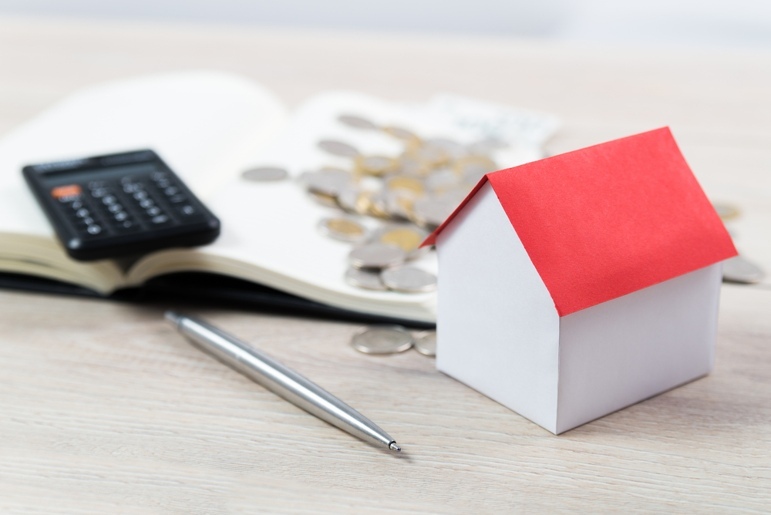 However, it is important to be aware; estate agents fees for selling a house can differ vastly and may be as much as 3.5% of your sold property’s value. Taking Land Registry data as an example: if the average property currently sits at £232,554 and the average person must pay 1.42% in fees, they will be paying £3,302 in fees – and £6,847 for Londoners – a lot of money. 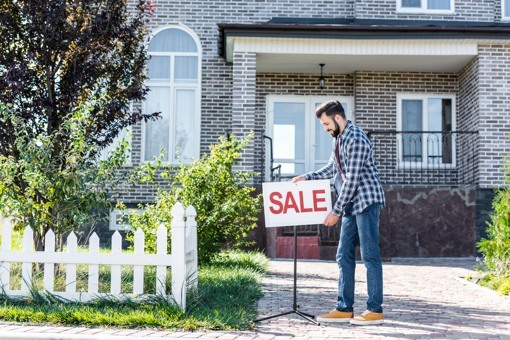 As a result, many sellers are starting to ask themselves, “Can I sell my house without an estate agent?”, as they wonder if they could do a better job themselves for a considerably cheaper price. However, is it really worth cutting out the middle man and doing all the hard work yourself, without know-how and property expertise? Do you have time to dedicate to the selling of your home, or the understanding of the industry to know you are doing everything by the book and without facing any problems? If you don’t have time to invest when you sell your house privately and are looking for a quick house sale due to facing financial difficulties or needing to relocate quickly, estate agents aren’t the best or cheapest way to sell a house. As an alternative, you may want to consider looking for an agent online that buys your house for cash and has a quick turnaround, avoiding any unnecessary online or high street estate agent selling fees. If this sounds familiar, get in touch with us – we guarantee a quick sale, and you may even have cash in the bank within a week of making the first enquiry with our team. How to sell your house without an estate agent? The key to getting your home snapped up fast is to make sure your home is sellable. Before listing your home on the market or getting it valued, think about giving your home a little spruce up. Try and put yourself in the buyer’s shoes; think about when you bought your home and what you looked for in the property, and what could be a potential issue to prospective buyers. To do this, think about enlisting the help of a few friends or family members and asking them to pinpoint any drawbacks of the house that may put off potential buyers. In order to increase the chances of selling a property without using an estate agent, make your home as cosy and homely as possible, to make it easy for the viewer to envisage themselves living there. Good property staging can significantly increase your selling prospects, such as removing any clutter and adding plump cushions for texture. According to research, it is advisable to remove all personal items from your home when taking photos and viewings, such as family photographs and sports memorabilia. When a potential buyer sees such photographs, they are more focused on these objects and not your space, which is more important when selling. 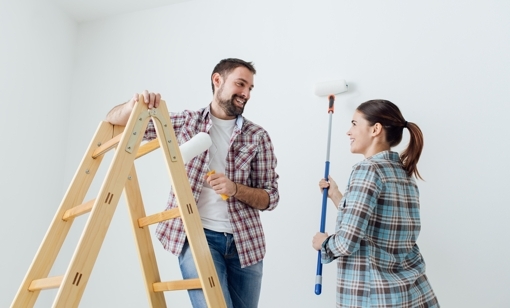 Even if your home is in good condition, in order to increase the chances of your house being sold quickly and as close to the asking price as possible, it won’t hurt to give your home a lick of paint, as well as fixing anything that may be an issue to any potential buyers. This includes a broken skirting board or slightly damaged door frames, even re-doing the roof or re-fitting windows may be an option if you are willing to spend some extra money to increase the value of your home. Now that your home is looking as good as new, it is a good idea to get your house valued by an expert before you put it on the market. Getting your house valued is a crucial step when selling without an estate agent to ensure your home is in line with pricing in the rest of the area – not too cheap or too high above a potential buyer’s budget. 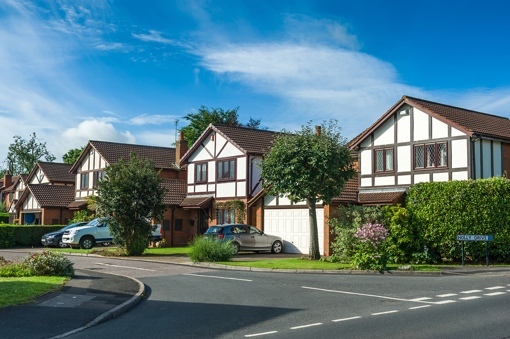 This can be done on the internet using online estate agents, but your best bet is to look on websites such as Rightmove.co.uk or Nethouseprices.com (both free), which can give you an indication of the value of similar properties in your area that have sold. You can also speak to a local estate agent to give you a free valuation, which may also be a more personalised guide price, taking into account your road, area and home finishes. If you would like to find out more about selling your house, read our extensive guide to selling your home. When your home is being sold by an estate agent, your home may feature on their website and perhaps on their high-street window display too. However, when you sell your house without an estate agent, you must consider ways you will be marketing your home to ensure people know it’s for sale. Make the most of free marketing, using social media to help you to reach a mass audience, for example. Most local areas have Facebook groups that you can join to let people know that your house is for sale. There are other websites to list your property on the internet but be aware that fees vary considerably from place to place, so it is vital to do your research to know which site is best. Property website, Tepilo, owned by property expert Sarah Beeny, offers sellers the chance to list their homes for free. Although, while the internet is a major tool in the housing market, don’t overlook more traditional methods, such as advertising in your local paper. You can also order a ‘For Sale’ board to be delivered with your own personal mobile phone on it, to catch the attention of potential buyers passing by your home. However, make sure you comply with the property regulations or risk facing a hefty fine. When selling your home, try not to get caught up in the moment and accept the first price – think about it carefully. Decide how much you are willing to accept beforehand and don’t be tempted to accept any offer below this ballpark figure. 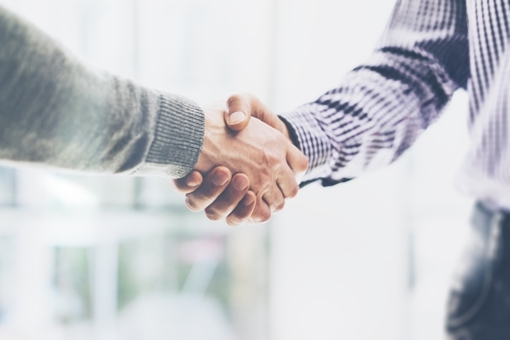 If you decide to turn down an offer, always remember to do so in a friendly manner to avoid burning bridges. It’s good to keep the door open and conversation friendly, just in case you do choose to accept the person’s offer later on, or should they opt to increase their offer further down the line. Once you accept an offer when selling your house without an estate agent, you do so verbally. After this, it is best to follow up with written communication, such as an email or letter. However, remember, nothing is legally binding until both parties have exchanged contracts, which can take a few weeks to process, depending on the circumstances of the buyer and seller. Once you have accepted an offer, instruct a solicitor or conveyancer to sort out the legal work for you, to make sure you are adhering to the law. In this final step, you must do your research carefully and considerately – shop around to find the best deal and ask friends and family for any personal recommendations. 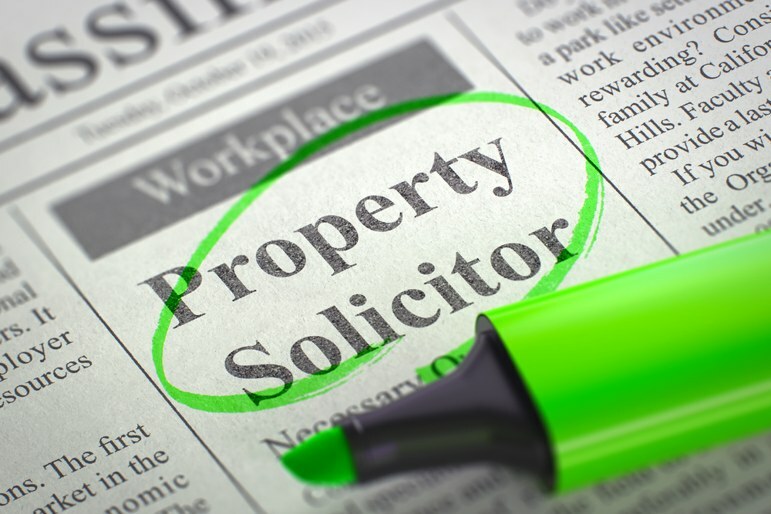 You can find registered solicitors or conveyancers online using websites such as The Council for Licensed Conveyancers, as well as DirectGov and The Law Society, which can help you find nearby property solicitors online.